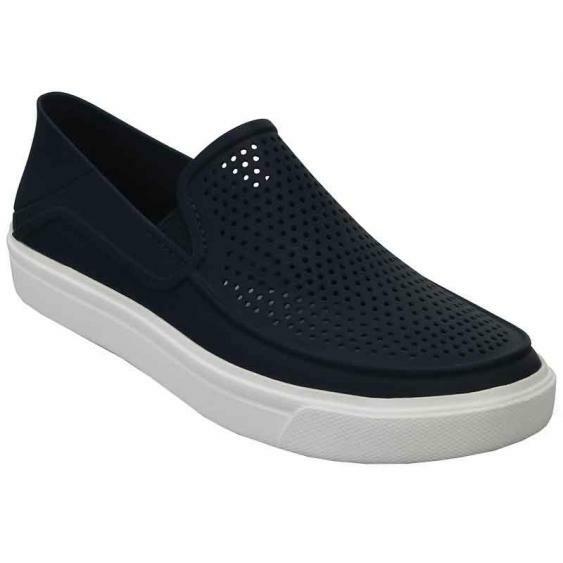 Slip on some style with CitiLane Roka Slip-Ons. The CitiLane Roka Slip-Ons make running around a breeze with their twin gore stretch panels for easy on and off, Matlite foam uppers, and that archetypal Croc's comfort. The perforated uppers make sure your feet stay nice and cool while the Croslite foam footbeds cradle your feet in pleasant cushioning. The Corslite outsole will make sure you never miss a step as you run through your day. Make it rock with Crocs CitiLane Roka.